WASHINGTON—A former U.S. Air Force major with 5,000 flying hours described in detail his encounter with an UFO, telling former members of Congress at a hearing on extraterrestrial sightings that he has been interested in UFOs ever since. “These space craft occasionally roam our skies and my theory is they have been coming here for thousands of years,” Major George Filer III said May 3, the last day of the week long Citizen Hearing on Disclosure at the National Press Club. Filer was one of 39 witnesses who gave testimonies during the hearing, including former members of the U.S. military and federal agencies, researchers, academics and ordinary citizens. A former Air Force intelligence officer, Filer was a pilot stationed at the U.S. Air Force base at Sculthorpe RAF Base in England in January 1962. He was out refueling fighter aircraft at around 30,000 feet over the North Sea, when he was notified from London Control that radar had picked up a UFO. It was around sunset and a clear night when he headed toward the object’s location, around 1,000 feet above an area near Oxford and Stonehenge, he said. 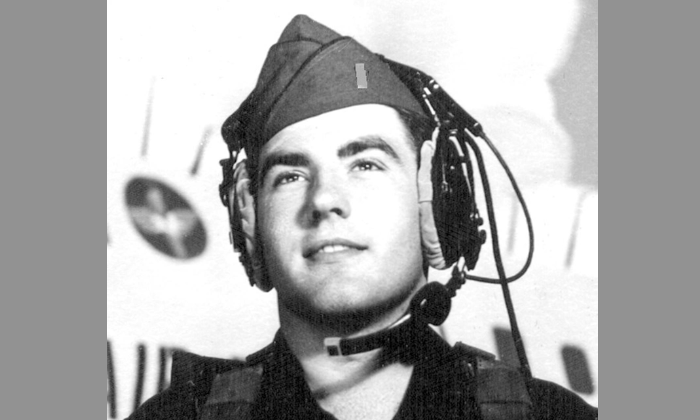 Filer said he could feel the adrenalin as his KB-50 J tanker aircraft exceeded what he called redline maximum speed to get there. He said that the control tower in London had cleared the area and was calling out the distance to the craft. Article continues after the discussion. Vote and comment! “They called out your miles apart, 60, and 40. At about 30 miles my APS-23 Radar picked up the hovering UFO directly ahead. “It was an exceptionally large radar return reminding me of a large bridge or ship. This craft was bigger than anything I had seen in the air before. It reminded me of the radar return from the Brooklyn Bridge 6,000 feet or the Firth of Forth Bridge in Scotland (8,300) feet, over a mile long. “The return was sharp and solid as compared to the fuzziness of a rain cloud. I felt this craft must be made of steel or strong metal. We were doing around 425 mph as we approached to about 10 miles, when the UFO apparently realized we were intercepting,” he said. “It was a dark night; we could only see a series of dim lights directly ahead similar to a cruise ship at sea. Now only five miles separated us. Suddenly the UFO seemed to come alive, the lights brightened immensely and the UFO accelerated in a launch similar to the Space Shuttle taking off at night. “We saw much brighter lights and fantastic acceleration as it climbed almost straight up and suddenly it was gone. These huge craft I learned are called mother ships, because like an aircraft carrier they carry smaller disc craft. Filer said the incident did not gain vast attention although he did record it in his navigator’s log and it was mentioned the next day in operations. A few weeks later, however, he and his crew received an invitation to dine with Prince Phillip, Duke of Edinburgh, who had expressed an interest in their experience. “About seven of us sat around a table discussing UFOs. Prince Phillip was very personable and friendly. He was very interested in our intercept and we assume he had also been briefed by London Control because the U.S. Air Force had no apparent interest,” he said in his written testimonial. Filer said he has researched the topic of UFOs over many years and now believes that extraterrestrials have been visiting planet earth for thousands of years. He referred to archaeological structures carved in the soil called cursors, which are found throughout England. He believes they resemble the reported shape of mother ship UFOs. “This complex at Stonehenge and Silbury Hill in England, may in fact represent visitation by an alien race in the distant past,” he said. Filer had another experience with an extraterrestrial craft while in the U.S. Air Force according to organizers of the Citizen Disclosure hearing but he did not discuss it at the event. He is now a regional director of the Mutual UFO Network (MUFON), a nonprofit volunteer organization which was established in 1969 to record and study UFOs. He also produces a weekly UFO newsletter called Filer’s File.